Following delivery of recent cable-lay and trenching projects for the renewables sector, Fugro says it has secured three contracts for its trenching services for oil and gas clients. The contracts will see its Q1400 trenching systems deployed in the North Sea over the next 12 months. 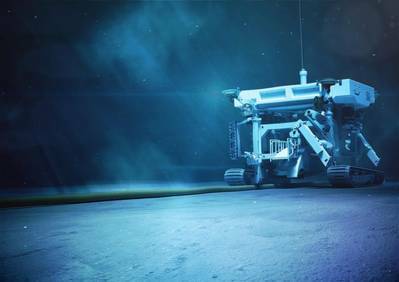 At the Wintershall-owned Maria development in the Norwegian sector of the North Sea, Fugro will deploy the Q1400 trenching system under a contract with Subsea 7. At Det norske’s Ivar Aasen development, the system will be deployed for EMAS CHIYODA Subsea in June. For both projects the trencher will operate in jetting mode for burial of pipelines, power cables and umbilicals. In the U.K. sector, a contract with Bibby Offshore will see Fugro’s Q1400 trencher operating in both jetting and cutting modes to bury a new umbilical at the BP ETAP redevelopment. “Since launching the Q1400 system in 2012, Fugro has successfully completed numerous trenching projects at oil and gas developments and more recently at offshore wind developments. We are looking forward to continuing to demonstrate how our trenching capabilities can bring benefits to clients in both sectors,” said Mike Daniel, Construction and Installation Manager at Fugro Subsea Services.